The Engineering Economics Faculty was established in 1992. Leading professors with Ph.D. degrees or Doctor of Science degrees train students to become skilled personnel in the field of economics and management. The faculty staff includes about 200 employees, including more than 100 professors, associate professors, assistant professors, assistants, 40 engineers, technicians and laboratory technicians. The Faculty established contacts and signed agreements on cooperation with universities, research centers and companies from all over the world. Students can undergo internship in foreign universities or research centers: The University of Koblenz-Landau (German, Koblenz), Czech University of Life Sciences (Czech, Prague), Università degli Studi di Genova (Italy, Genova), Dennis Gabor College (Hungary, Budapest), etc. 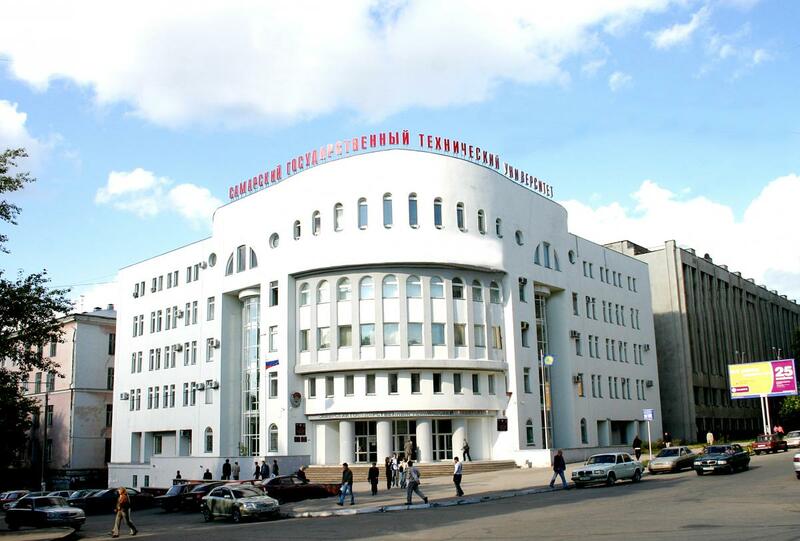 Established in 1914, Samara State Technical University is committed to the purity of science, research and innovation. Our Aim is to facilitate market needs in the areas which we specialize with students equipped with directly applicable skills. And we can honestly say that university alumni successfully put into practice acquired knowledge. Nowadays the University embraces 3 main campuses, 17 educational buildings, 8 dormitories, more than 50 research centers, 2 sport complexes and 3 recreation centers. The University is licensed by the Ministry of Education and Science of the Russian Federation to implement the educational activity in the field of higher education (License № 1938 from 17 February 2016). The University is accredited by the Ministry of Education and Science of the Russian Federation (State Accreditation Certificate № 1676 from 22 January 2016). The program aims to prepare specialists with skills and modern management methods, systems analysis, integrated forecasting tools and support strategic decision-making in governmental or F.E.C. related sectors of the economy. The program aims to prepare the future business leaders capable of managing projects at all stages of implementation, taking effective decisions on their resource and organizational support, integrated innovation and investment processes, carrying out comprehensive planning of the project portfolio in order to achieve sustainable development. The program is based on the synthesis and critical analysis of the best practices of the best F.E.C., consulting companies, international research centers in the field of strategic management, system analysis and forecasting of the economy, energy, environment and innovation, expertise, design and operation of energy infrastructure, as well as well-known international, European and American elite training programs on strategic management. After the successful completion of this degree program students will be able to carry out in-depth strategic analysis of a multitude of enterprise activity within the energy sector; create accurate business models based upon the practical experience gained in formulating business plans; a sound methodology for auditing companies and the ability to manage the Human Resources department of an enterprise connected to the Energy Industry. Our graduates not only work for domestic companies and international businesses companies, many have gone on to occupy the leading positions among the managerial staff. Our most recent graduates have secured employment in “AvtoVAZ” (Renault-Nissan Alliance), “Lukoil”, “Rosneft”, “Sberbank” and “Surgutneftegas”. Email the Application Form, a copy of your passport and copies of your educational documents in English or in Russian. Applicants who do not speak Russian are enrolled for the one-year Preparatory course, take an exam of the Russian language and after that submit the documents for the degree program. Educational documents (high school certificate) and their certified copies, translated into Russian and notarized by a certified solicitor in the home country of the candidate. International applicants have an opportunity to receive the scholarships from the Russian Government. To apply for such scholarships you should contact the Representative office of Rossotrudnichestvo in the country of your residence.